The George Zimmerman trial amplified the continued division in our nation over race. America has made great strides in race relations, but this trial reminds us that we still have far to go. Language on both sides of this case contained disturbing racist slang. Regardless of your feelings on the verdict, the sad reality is that there were no clear winners. Tragically, a young black teenager is dead. He was killed in a senseless act of fear-provoked violence. Trayvon Martin’s parents have lost a son, and he will never be brought back. I cannot imagine the anguish of losing a child in such a senseless tragedy. I understand their desire for justice, but there will never be a verdict that completely takes away their hurt and loss. George Zimmerman was found “not guilty” by a jury, but he is not a winner. His life continues to be probed. His legal battles will likely continue, and much of the media and public have forever labeled him as a “racist.” He walked out of a courtroom, but I am not sure if he will ever be free from the weight of this tragic night. It has troubled me that many have sought to use this tragedy for their own agendas. 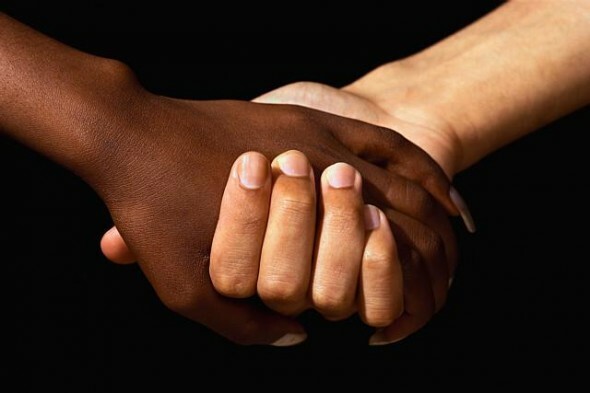 In the end, we were all reminded of the deep and continued divides in our nation over race. Martin Luther King Jr. once dreamed of a day when, “On the red hills of Georgia, the sons of former slaves and the sons of former slave owners will be able to sit down together at the table of brotherhood.” This trial reminds us that his dream has not yet come to fruition. But, I must also speak a word of reality, we have not yet won the battle in race relations. Too often, our emerging churches look a great deal like the old, when it comes to race. In some of our multi-ethnic churches, we are multi-ethnic in attendance, but not in how we practice church. The culture of many of our multi-ethnic churches is still pre-dominantly Caucasian. Though ethnic believers represent some of our greatest areas of growth for Southern Baptists, they still represent a very small part of our leadership. Most tragically, the Sunday morning worship hour remains one of the most segregated times of the week. We can do better than this. For if the transformed church of Jesus Christ cannot do better than this, what hope is there for the world? If we are to win this battle, we must cross boundaries and reach out to those different from us. We must have the courage to speak out clearly about injustice, not for the sake of agenda, but because we believe in the worth and value of every human being. We must be willing to share leadership and influence with our African American, Asian, and Hispanic brothers and sisters in Christ. Furthermore, we must model the transforming grace of Christ by sharing in genuine relationships that give evidence to the world that we care more about what is beneath the skin, rather than the color of one’s skin. Missions has been in full swing this week in three western Kentucky associations as WMU’s FamilyFEST and Christian County Baptist Association’s Operation Hopkinsville events have been going on. FamilyFEST brought in 73 persons to serve in the Paducah, KY area and 82 in the Henderson, KY area doing all types of mission projects. Participants came from 12 states plus 19 different Kentucky locations to minister through Vacation Bible Schools, Backyard Bible Clubs, sports camps, block parties, prayer walking, working in food & clothing ministries, construction, baking cookies & cupcakes for service agencies, health fairs, nursing homes & elder care, homeless shelters, women’s addiction recovery, and on and on. At this same time, in Christian County approximately 270 persons participated in Operation Hopkinsville Love in Action. This is the 3rd year of this community outreach where local persons saturate Hopkinsville and surrounding areas with evangelism and love in action. Events in Hopkinsville included community block parties, free yard sales, health clinics, car washes, vouchers for oil changes, Backyard Kids’s Clubs, puppet shows, work in food & clothing ministries, concerts, construction/renovations, cookie ministry, haircut ministry, hospital & nursing home ministry, jail ministry, prayer ministry, etc. Thank you volunteers for your service this week, for the love and kindness you showed, and for your testimony. May God bless you richly but, most of all, may many come to know His love through your efforts!! Add, as a side note, WMU’s FamilyFEST has plans to be in Kentucky again in 2014. Make plans now to be a part of sharing God’s love in deed and truth. Whatever gift, skill, or talent you have you can be a part of His great work. As we witnessed the tornado ravaged community of Moore, Oklahoma, the scenes of devastation moved us with a desire to help. In most cases, the best way to help is through monetary donations. Cash donations are able to meet specific needs of those hurting, assist in long-term recovery efforts, and stimulate the local economy in the affected area. I know many people who feel as if giving money is not personal; but, helping should be about meeting the victims’ needs, and not fulfilling our desire to feel good about ourselves. You should seek to give through established, reputable relief agencies. 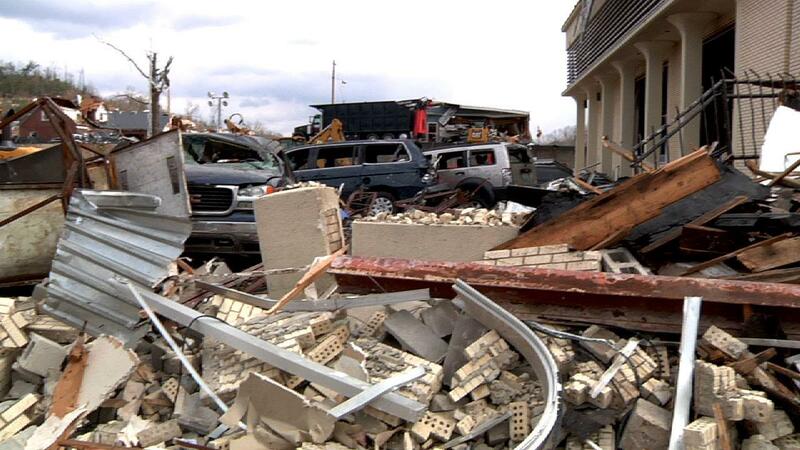 Kentucky Baptist Disaster Relief and Southern Baptist Disaster Relief are recognized in the disaster relief world as leading and effective disaster organizations that handle donations with great integrity. One hundred percent of monies given to disaster responses through Kentucky Baptist Disaster Relief go to meet needs and offer direct ministry to disaster victims. Staff and administration are provided by gifts to the Cooperative Program and do not have to be subtracted from donations for disaster responses. Be cautious in loading a trailer full of supplies, unless you are connected with someone on the ground and meeting a specific request. Often, disaster areas are flooded with unneeded and unwanted supplies. The three most common unwanted supplies are used clothing, toys, and bottled water. A disaster leader in Moore shared with me that they had enough bottled water to fill every lake in Oklahoma. Though well-intentioned, unwanted supplies create storage issues and often will result in money given for disaster victims being utilized in disposing of these unwanted resources. Before collecting items, a church or individual should always make contact with someone on the ground and be sure that the item is needed and wanted. It really helps no one to barrage disaster areas with “stuff” that winds up being added to debris piles. When it comes to disaster relief, do not follow your own desires, follow the direction of disaster leaders who are engaged in the affected community. Remember, it is not about you, it should be about what is best for those who are hurting. An important way we can come alongside those who are suffering is to pray. We serve an all-powerful God who can always do more than you and I to alleviate suffering. We need to lift those who are hurting to God’s throne of grace. Give your gifts quietly and let the Lord receive all the credit. When we give, we often like folks to see our offering, but this kind of sharing seeks to honor ourselves, rather than bring glory to our Lord. Jesus said, “When you give to the needy, do not let your left hand know what your right hand is doing,” (Matthew 6:3). It is right to be moved with compassion, do good things, and give graciously. Just don’t make it about you. Give for the sake of those hurting and for the glory of our Lord.